2014 will be a landmark year in Fiji’s history and not just because of the scheduled return to democracy. After an expensive renovation, the once bright jewel in the crown of Suva – the celebrated Grand Pacific Hotel – will also be opening its doors for the first time in more than two decades. Because of what that will mean not only for tourism but for everyone, the whole city eagerly awaits what is bound to be an exciting event. 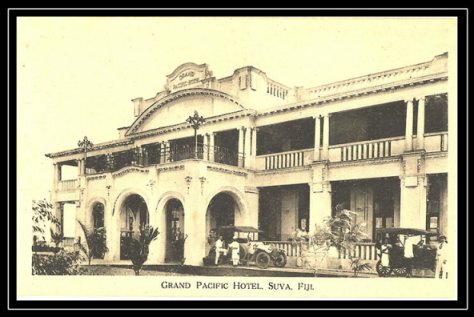 The “Grand Old Dame” of Suva is set to become a special favourite of the “Raffles Set”, those who love the atmosphere of the old colonial haunts of Empire – Raffles in Singapore, the Galle Face in Colombo and the great hotels of the Raj in India. And especially those who hanker after the old Pacific, embodied further north in the Royal Hawaiian and the Moana Hotel, “the first lady of Waikiki” – potted palms, slowly revolving fans, “Mai Tais” and attentive staff in sparkling white. All that awaits the visitor to Suva. Yes, we’ve already got the Holiday Inn but glamour? Er, a pleasant enough place if you have to do business in the capital but hardly worth the detour. And who knows? Maybe the revival of the GPH might trigger the revival of other faded colonial era gems around Fiji like the Rakiraki Hotel, the Grand Eastern in Labasa and the sleepy old Levuka Hotel. They’re just crying out for the same treatment. Nostalgia is big business everywhere else in the world. Why not Fiji? In Suva, get set – thanks to the jet set – for jobs, jobs, jobs, not just for hotel workers but a host of suppliers, taxi drivers, tour operators, shops, restaurants and even the most humble market vendor. The entire city economy will almost certainly get a boost from the revival of this iconic landmark. The building itself – proud and resplendent again -will also lift the general tone of the entire city, and especially its most important precinct – the area around Government Buildings, Albert Park, the Botanical Gardens, the Fiji Museum and Government House. This golden half-mile has long been tarnished by the ugly face of the derelict, decaying, rat-infested hulk to which the once “Grand Dame” had been reduced. For a long time, it was fit only to house junior soldiers and then not fit for anything at all. For too many years, the GPH has sat as a brooding reminder for everyone of Suva’s decline from its glory days as a place of elegance and beauty and a source of national pride. It’s been an ugly carbuncle on the capital’s face and now, finally –mercifully – that carbuncle is being removed. Why has it taken so long? Partly because of the fluctuating financial fortunes of successive potential developers, notably the government of Nauru. But much of it has to do with the lack of confidence that’s been needed to make such a big investment. And you don’t have to go too far to explain that. On the street outside in 1987 – where once the Queen had gazed down on her adoring subjects – marauding gangs of indigenous supremacists randomly attacked their Indo-Fijian fellow citizens. Across the road, gunmen entered the then parliament and removed the government. It happened all over again in 2000, though by now most of the action was taking place across town at the new parliamentary complex. And then came Frank Bainimarama’s “clean-up” takeover in 2006 aimed at getting the country back on track. Investment bankers and their borrowers don’t like this sort of disruption and especially people in the hotel business. They need high occupancy rates just to break even and, strange as it seems, wealthy travelers tend to have an aversion to guns and beatings on the street outside. All of which explains that it’s taken a period of relative national stability to drag the Old Dame off the floor and put her back on her feet. That plus a unique Pacific partnership – the superannuation savings of every Fijian through an investment by the Fiji National Provident Fund (FNPF) and the superannuation savings of every Papua New Guinean through our Melanesian neighbour’s National Superannuation Fund. PNG is, in fact, the dominant partner. The GPH will be 50 per cent owned by its super fund, the FNPF holds 25 per cent of the shares and the remaining 25 per cent comes from a PNG company called Lamana Development Limited. If anything else, it’s a practical demonstration of Melanesian commercial solidarity as Fiji and PNG also strengthen their diplomatic ties. 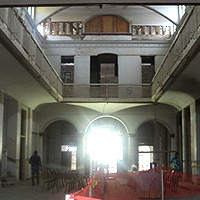 By the time the army of workers completes its task by November next year in advance of the official opening early in 2014, the whole renovation will have cost more than $78 million dollars. There’ll be 113 standard rooms and ten executive rooms in the old building and a mixture of suites in the new building being constructed beside the main hotel. Everything preserved from the old GPH is undergoing a painstaking restoration to its original condition, a highly complex and difficult task according to Jaoji Joroi, the acting CEO of the FNPF, because of the challenges of recreating the building methods of 100 years ago. Because the hotel has been closed for so long, only older Fijians will remember its stately magic. 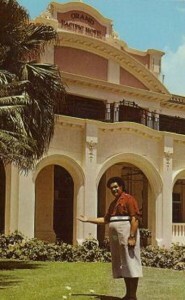 In the boy Grubsheet’s mind’s eye is the indelible memory of drawing up at the imposing portico, being greeted by a huge Fijian doorman and being ushered into what seemed a vast atrium dotted with rattan furniture and potted palms at floor level, with balconies all around leading to the guest rooms. Immaculate staff glided around dispensing gin and tonics, glasses of Fiji Draught, and in the case of the wide-eyed missionary’s son, ice cold lemonade. It had never tasted so good and I had never been in a grander place, feeling so small and insignificant amid such opulence. Later, of course, it all began to unravel and towards the end, the GPH was a shadow of its former self, visitors preferring the modern comforts of the Travelodge next door to sleeping fitfully on old beds surrounded by the ghosts of the past. Isa Lei : The Queen and Duke of Edinburgh on the GPH "brow"
The GPH was built by the Union Steamship Company in 1914 to service the needs of its transpacific passengers. The famous design of atrium looking in and balconies looking out was to make travelers think they’d never gone ashore. The rooms were like first-class staterooms, with saltwater bathrooms and plumbing fixtures identical to those on an ocean liner. It all reeked of a special atmosphere recalled years later by James A Michener – the celebrated American author of Tales of the South Pacific – in his 1992 memoir, The World is My Home. The famed British author Somerset Maugham was another South Seas traveler who enjoyed the GPH. 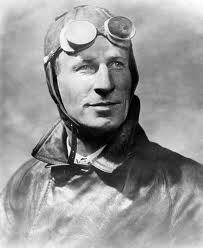 But few arrived in more style than the great Australian aviator, Sir Charles Kingsford Smith, who quite literally dropped out of the sky and into Albert Park on the first transpacific flight between the United States and Australia in 1928. His Southern Cross Trimotor skidded to a halt just before hitting the trees at the end of the park and, surrounded by hundreds of excited well wishers, the dashing aviator and his co-pilot, Charles Ulm, strolled into the GPH for a well-earned shower and rest. 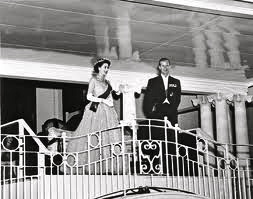 But by far the GPH’s most distinguished guests were a young Queen Elizabeth and the Duke of Edinburgh making their celebrated first visit to the Colony of Fiji in 1953. 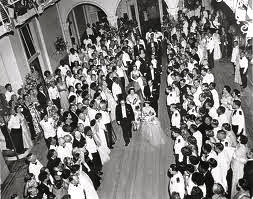 The then Governor, Sir Ronald Garvey, hosted a ball in their honour attended by the cream of Suva society and then the royal couple appeared on the balcony facing Albert Park is front of thousands of candle-carrying spectators. The whole crowd joined a choir in singing the traditional farewell song, Isa Lei, before fireworks concluded what must have been one of the most magical evenings in Suva’s history. How wonderful that half a century later, some of that magic – the glory of a bygone age – is to be recaptured with the restoration of the balcony on which the Queen stood. The re-opening of the GPH will be more than the renovation of just another hotel because it isn’t just another hotel. It’s the best. And when the doors open again, it’s bound to be a symbol of the revival of Fiji’s fortunes and the hopes of the whole country for a brighter and more prosperous future in the years ahead. Apologies for the lack of picture credits. Some are known only to God. ………cripes Graham…dont forget the cucumber sandwiches, pith helmets and the best ‘cha’ from tea leaves picked off course by virgin hands from the royal gardens of the beloved Maharajah of Hyderbad…. ‘Nostalgia tourism’ – allows the imagination to recount Fiji’s colonial past in the regal splendour of the Grand pacific Hotel. Fiji once again leading the region with a unique tourism product. Oh dear, Komai, trust the natives to spoil all the fun. The Singaporeans don’t seem to have any hang-ups about Raffles as a symbol of colonial repression. It’s a nice atmospheric, architecturally aesthetic bow to another age, not a statement of white superiority. Doubtless you think all of Fiji’s problems arise from colonial rule and the “neo colonialism” that followed. Must have gone to USP. You certainly weren’t there under British rule or you might think otherwise. Funny how most things they left are still there and so little in the way of new infrastructure has taken its place. It’s OK, you and Chand can be at the bar with your shoes on and I’ll happily serve the gin and tonics in bare feet. I certainly don’t mind the boot being on the other foot in post colonial Fiji and I don’t know any Fiji European who does. But it would be nice if others finally shook off the chips on their shoulders and moved on. Oh…and that starch thingis…..I remember we used to have starch school pants…in the primary …and they used to cut through the underwear…. (in case some of you start jumping…yes my mum used to sew cotton underwears for us)…and sometimes we used to soak our underwears in starch as well…ooch. Yes, I might have been oversensitive. I apologise. But I actually quite enjoyed colonial times and I don’t think I’m alone. And it’s not because the white man was king or any other such nonsense. It’s because anyone who was alive then knows that Suva was in much better shape overall than it is now, recent improvements notwithstanding. It was a lovely place, gleaming and perfectly kept. Would anyone say that now? The same applied in most Fijian villages. Does anyone remember the tidy village competitions of the past? Perfect thatched bures and white painted border stones? I guess that was patronisingly colonial, rewarding ordinary people for maintaining standards. But independence was no excuse to allow those standards to drop and that’s unfortunately what happened in so many instances. Including running down Suva’s grandest hotel. I too have fond memories of those days – Boys Grammar School and the British Bulldog games that gave meaning to the school motto “Quit Ye Like Men” (Mike Gosling will recall those days). Chand – a cold ale in the “Mountbatten Bar” in the ‘Windsor Wing’ of the GPH will be a good washdown for the grog taken on the verandah at Bob’s Electrical in Ono Street, Samabula. Ek dum kalas! Make my day….I was just thinking about it. Oh yes, 10th October 1970…I remember as a kid at Albert Park with that little “BIG” Fiji Flag with the complementry cordial juice in one hand…..and across the road that white majestic building. I only hope that the new owners will be gracious enough to have an “open day” for all the folks…to walk down the memory lane before business….I just hope. While in Fiji we kept an eye on all the hustle and bustle going around the GPH, can I say that I went there over 20 years ago and was so impressed, and I cant wait to go there again to see it in all its splendour, and take my family to see it aswell, loved your articl Graham it will definitely lift the spirits of people in Suva and definitely give us much pride to see her back in all her glory, not to mention provide some more jobs for our people. Yes, the Grand Old Lady. Well .. Resurrection of the ‘OLD LADY’ is a lift for me as well!! Back in 1960, fresh out of school, I started my work life as a trainee receptionist and occasional Events hostess at this ICON of an era of sophisticated,elegant and warm hospitality. I met many of the ‘famous’ visitors passing through, and one of the features was the delivery of corsages( little bunches of orchids) by Hunts Travel, to be worn by their female clients to dinner. There was Happy Hour pre dinner, with the grand piano, being tickled by David Frost very elegantly attired. I just loved being on morning shifts though… got to have breakfast taking in the most breathing taking scenery .. Looking at the reef and mountains across the harbour from the back verandah of the hotel, across the sweeping lawns down to the waters edge. The tables beautifully set with white starched linen and silver cutlery. Yes! I know I was spoilt. As a ‘Kai-Loma’ it is a wonderful jewel in my memory box. Fantastic news about the GPH Graham, and thanks for your beautifully-written post about the “grand old lady” of the South Pacific – brought back many happy memories of good times and parties there in the early 90s for me and my Fiji friends. I might be wrong but I suspect it’s about the last remaining vintage-era flagship hotel in the region…? And I can never think of the GPH without also loving its iconic waterfront neighbour, the Suva Bowling Club. Sunset sips with mates at either of these places, and a day in Suva is happily complete! Years ago we had look through the Gtand Hotel. How wonderful that it is being restored and improved. Can’t wait till it opens. Suva needs a lovely hotel and this one is perfect. Thanks for the history of this hotel. 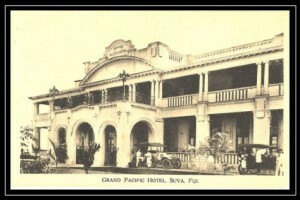 Thanks for a wonderful post on the Grand Pacific Hotel. I have been keeping an eye on the progress for the last few years. I first visited Fiji from Australia in 1969 as a 12 year old and have been back many times by myself and with my family, including a stay at the GPH, hence the interest on its progress. I have just discovered Grubsheet and will enjoy keeping up to date with news from Fiji. Vetaia, 75 per cent PNG, 25 per cent Fiji through FNPF. My friend you “DONT CALL THIS HISTORY OF THE BEAUTIFUL LADY –“A JOINT”? May God forgive you” Moreon ??? Vinaka Graham for the info. Well, let’s hope the restoration gets completed this time; after several false starts the old girl deserves to regain her elegance ! I had my wedding reception at the GPH in 1970 and it is described in my recently released, critically acclaimed, award-winning memoir, Dodging Machetes: How I Survived Forbidden Love, Bad Behavior, and the Peace Corps in Fiji. I got a room there for about fifty people with a week’s notice for only about US$10 a person. That included a full dinner. A fine time was had by all. To read more about the book go here. Sounds like a great fun book. I have just ordered a copy. we fijians need a bit of cheer and see the funny side too.
. Amazing .. I will bookmark your website and take the feeds also? 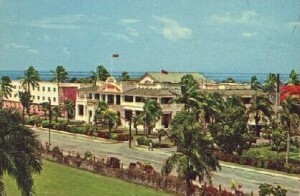 I remember staying at the Grand Pacific with my mother back in January 1976. We were in Fiji for a holiday and decided we wanted to join my sister and hubby on the the ss Oriana in Suva during its pacific cruise – However there were no available cabins so we headed to the GPH for a few nights – what a Grand old lady..it was classic character and in need of a make over..it was kind of erie as there were only a few guests at this time. The lobby reminded me of the cover of Eagles Hotel California..
i really am looking foward to the grand opening of GPH..this place locks me up with fond memories,,my uncle,,mr mohan lal was a chef in late 60/early 70. Hi Francis Verma,, chief Mr Mohan LAL is My missed grandad as he later lived and brought me up in Australia , Sydney…. Do you know his Daughters over here??? Bula ; to all those that were back in those colonial days and remember all the Ghost stories –And believe there were many –As I was the General Manager next door at the Suva Travelodge in those wonderfull days long gone by — The G.P.H. was in the hands of –“W. B.’ My very good friend and his lovely wife Mrs Barret saved my frustrations as the Guy next door””– When a Hotel Manager want’s to relax with beautiful people over a Gin & T’— a time when the working day is in Limbo” –Then it was back to work!! If I am still in the land of the living I hopefully will return next May for the rebirth of that Beautiful old Lady–with my Great Matanivanua” Radike Qereqeretabua. Graham your story brought back many memories of my time in Suva. Before the Travelodge opened the GPH restaurant was the place to eat especially the Chinese Steamboat. So good to see it being brought back with sensitivity to the era. Since spending a week in the faded days of the GPH in the 80’s, I have seen the demise of this great old hotel as the country slid in and out of anarchy. I firmly believe that only when the GPH is restored to it’s former glory that Suva willl reclaim it’s rightful place as the “hub of the pacific”. seeing, so sustain the outstanding function. I am the Project manager on the GPH. The restoration works albeit tedious, complex and very detailed is nearing completion and the finishes are outstanding. i hear the calls of having a public opening day and will certainly be taking this up with the Board of Directors .Just like every Fijian, I too am very excited about the completion and re-opening of the Grand old Dame and very proud to have been associated with this amazing old jewel. I hope I have done it justice in its restoration. 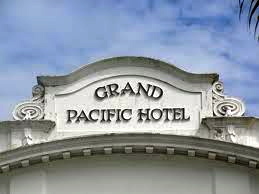 I am intending to apply for a position on the New Grand Pacific Hotel. Please if you can help me in providing the contact whereby I can send my job application. My name is Manoj Lal and I used to be the Purchasing Officer for Holiday Inn Suva. I have a vast experience of 15 years in this field and I would be proud to work at the new Grand Pacific Hotel. My email address is manoj_lal_17@yahoo.com. Please do send me a feedback. Rod, I have recently been made aware of the GPH refurb and am a artdealer specialising in the supply of artwork for commercial and corporate areas. Grand Old Lady is looking majestic each day I pass by. Rod Bradley is doing an excellent work on this project. 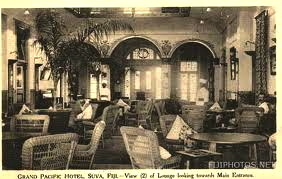 Soon Suva will have one of the nicest hotels which will dawn history once again. adjustable decay, or fading lengths. solid wood top, nevertheless, you can find padded covers if you need more comfort. Thanks GD for this historic article. I’m of the new Fiji generation and would really love to see the glamor and magic surrounding this grand lady. Wishing all those responsible all the best wishes and do hope they’ll exceed all our expectations come 2014. Mr. Bradley may have something up his sleeve in really ensuring that this hotel will indeed indisputably be seen as a grand lady by both the old generation as well as the new. I am so looking forward to discovering this beautiful Hotel when she reopens..my Grandmother” Bulou Amaliani Nanovo” spoke to me about this Grand Ole Lady in its hey day…Wish she was here to see it re-born. But now the new and old generations will have the utmost pleasure of enjoying the new days and the reminising of the old….Hello Fiji’s Raffles….loved the Long Bar in Singapore now ready to try the Mountbatten Bar in the new….God I hope the Gin and Tonics will be just as good….Looking forward to coming back from Australia and certainly tie one on there withiut a doubt…………Vinaka…. When is the Hotel opening? I believe Graham Davis has a point. The orderly regimented sense of existence during the Colonial era particularly with the Native Fijians lends and had it’s benefits which are obviously non existent in the present day.And it has been proven that most of the problem we have today are duly the result of bad human resource management . 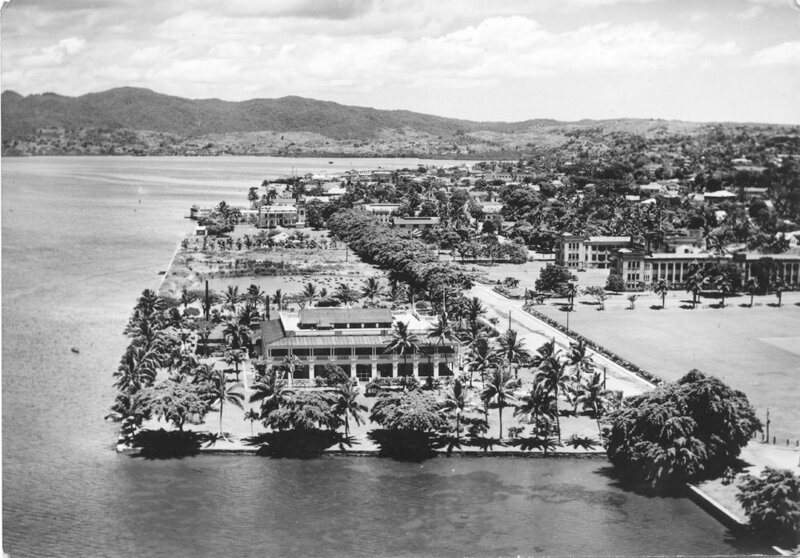 Now if the Colonials had, had a system that had resulted in the air of tranquility that peopled experienced and enjoyed then I see no contradiction in why we cannot realize it , if it is just a matter of managing our human resource… Maybe more like Singapore….I guess..
My great-grandfather was the architect of the Grand Pacific in Suva and I am delighted to hear she is being restored to former glory and hope one day to stay there. Would love to know when the reopening is going to take place? Hi, i am pursuing my thesis on the grand pacific hotel but i could not find any related floor plans of the former architecture… would you have any idea where and how i can acquire them? Please email me on bb.hansji@gmail.com if you could give me anything regarding my topic. I will be very greatful. Does anyone know when the GPH is re-opening please? Vinaka! I have completed all units in Trade Diploma In Hotel Management i looking for a attachment for 6 months. I would be glade for for kind response. 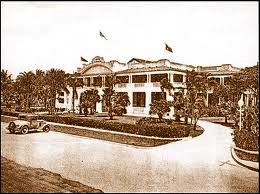 Graham, a great article on the history of Grand Pacific Hotel and apologies that I had not recognized your broader literary skills and authorship of Grubsheet until now!. As the current GM and custodian of GPH, I would love to hear from those who know and love this magnificent hotel as the stories of the past need to be told and remembered. Please feel free to contact me or drop in and say hullo.